The IT8 standard has been the color control reference for graphical applications for over 20 years. Industry designers, photographers and even every-day photo enthusiasts rely on the color accuracy made possible by the individual ISO norms of the IT8 Standard. During scanner calibration, measuring tables help characterize the specific color reading capabilities of a scanner. These measuring tables are built in accordance with the ISO-Norm 12641. The measuring tables recognize the individual characteristics of the particular scanner and generate a color profile for said scanner. It is quite common for scanners to contain singularities that make them unique from one another. These singularities often occur during the production process and tend to continue to change throughout the life of the scanner. It is also common for color differences to occur due to environmental factors such as room temperature, humidity and light exposure. A profile in accordance with the IT8 Standard is thus a useful tool not only for professionals, but for all those interested in scanning. How do you see colors? 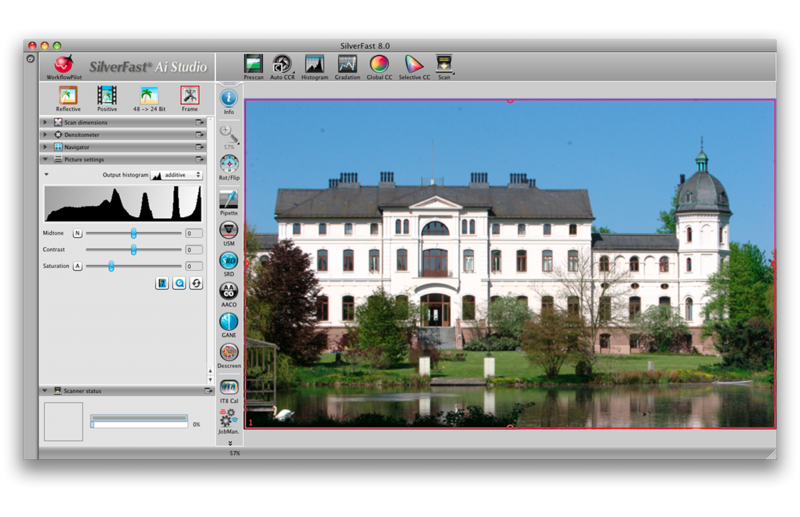 Targets from LaserSoft Imaging function almost completely automatically, ensuring ease of use for all users. 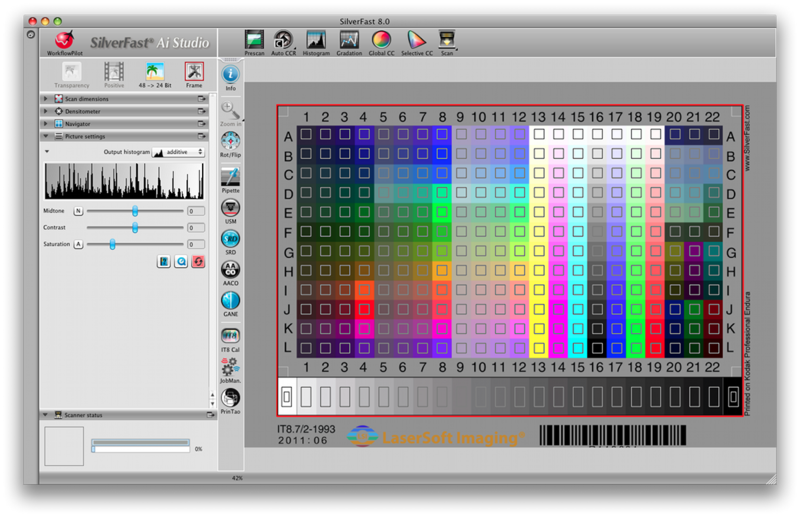 Upon the completion of scanner calibration, SilverFast generates an individual color profile. 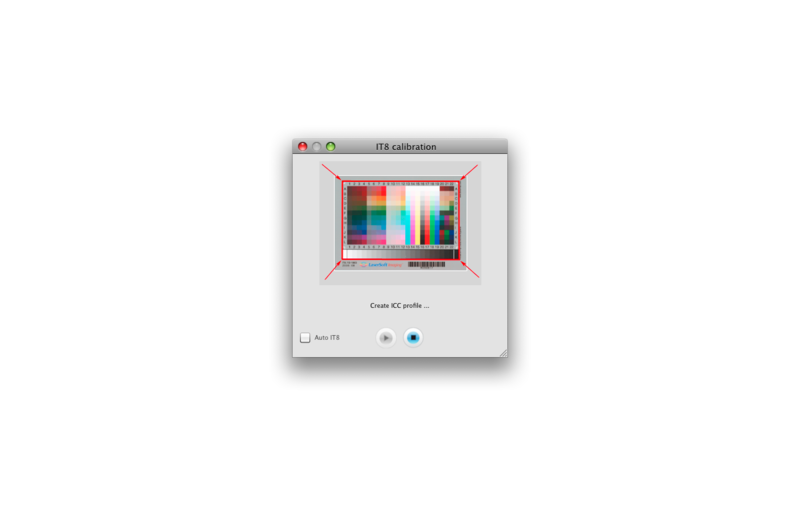 Scanner calibration is derived from the color values of the scanner and the profile is then automatically activated. The user is effectively relieved from the task of searching for reference data or determining input data because SilverFast completes this process on its own. 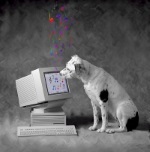 Everything is automatically taken care of with a few clicks of the mouse. 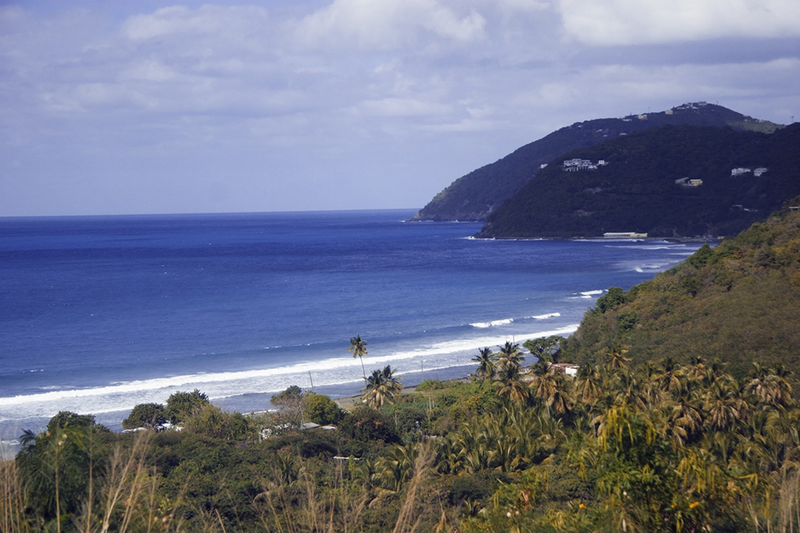 As a result, color management is optimally adjusted and becomes a fixed part of the scanning process. Our advanced color calibration Targets are based on the ISO Norm 12641 Part 2 that is currently undergoing the final stages of ISO testing. This Target is now available, offering a new design that significantly increases the measuring field of the Target. Due to the increased number of measurement points, the new Part 2 Target is capable of calculating an even larger color spectrum. Thus, less data is generated by the color profile because more measurement data is readily available, which results in increased Target accuracy. 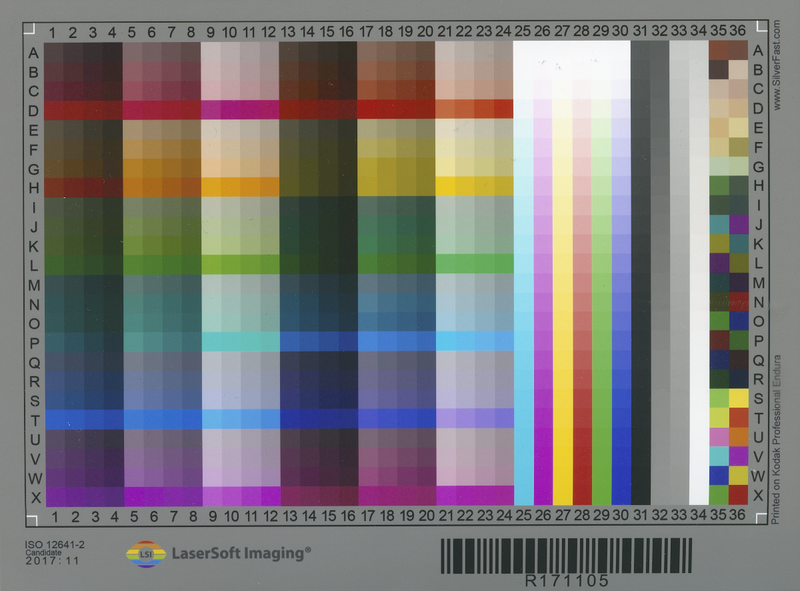 The IT8 Part 1 standard color calibration calculates a scanner’s individual color profile according to the 12641 (-1) Norm. It uses only the most important measurement points on the color table, while utilizing a smaller measuring field. 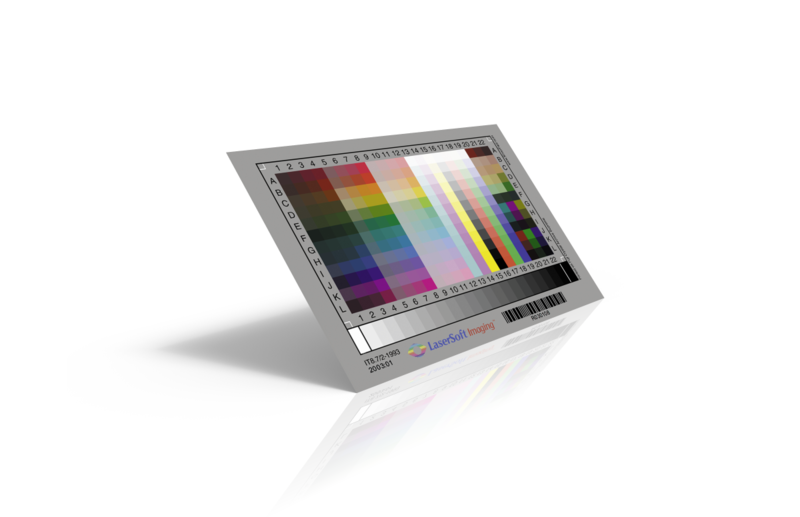 Standard color calibration employs intelligent algorithms, which provide for increased color fidelity via the use of individual color profiles. Whichever calibration you choose is of course entirely up to you. We predict that the ISO Part 2 candidate will soon be confirmed, which will result in a transition period with both Target types in circulation. In the end, Part 1 will be discontinued, due to the higher accuracy of Part 2. SilverFast (from version 8.8.0r11) is capable of using both Target types and calibrations. Which SilverFast version is required? Unlike old SilverFast versions, the Scanner Calibration is already included in the following SilverFast 8 editions: Ai IT8, Ai Studio and Archive Suite. A Calibration Target is required additionally. Standard Targets (Part 1) are required for Standard Calibration and Advanced Targets (Part 2) are required for the new Advanced Calibration. 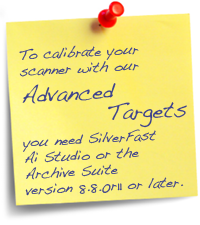 To calibrate your scanner with our Advanced Targets you need SilverFast Ai Studio or the Archive Suite (version 8.8.0r11 or later). SilverFast was awarded by the European Digital Press Association with the EDP award for the best color management.